Victorian Bell Push is suitable for use with most wired doorbells. It has a traditional polished brass finish. The narrow size makes it ideal for most doorframes. 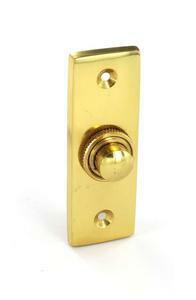 Victorian Bell Push measures 25mmx75mm and comes with screw fixings.